A rare wintertime grizzly sighting has prompted a bear closure advisory in Peter Lougheed Provincial Park in an area south of Upper Kananaskis Lake. A rare wintertime grizzly sighting has prompted a bear closure advisory in Peter Lougheed Provincial Park. A group of six skiers recently came across a grizzly in an area south of Upper Kananaskis Lake, in a part of K-Country that doesn't usually get a lot of traffic. "They were skiing past an area of downed trees, when a grizzly bear emerged from its den nearby," said Arian Spiteri, a Kananaskis district conservation officer with Alberta Parks. "The people wouldn't have known the den was in the area. When the bear exited the den, it ran away." 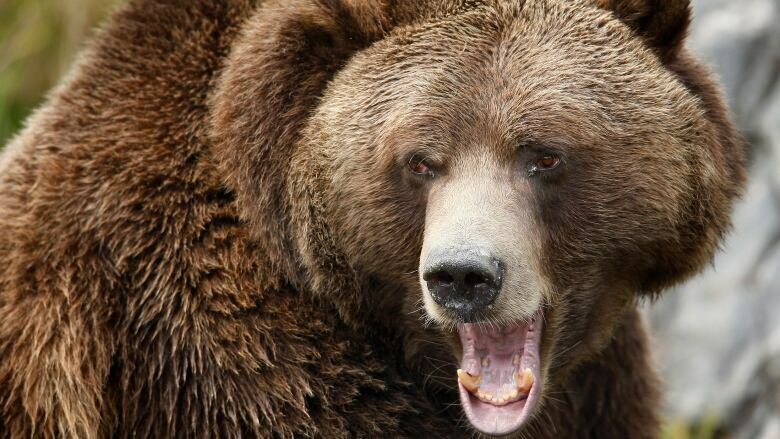 Spiteri says the first male bears usually start to emerge around mid-March. Officials decided to close the area to give the bear some space. The closure includes the Sarrail Creek drainage below Mount Foch but does not affect the Rawson Lake area, Alberta Parks says on its website. Kim Titchener, the founder of Bear Safety and More, says startling bears out of hibernation is rare, but it has happened from time to time in Alberta. And it can be hard on the bear. "All I can do is cross my fingers and hope he went back to his den instead of trying to get something new going because he's going to have to expend a lot more energy and burn a lot more of that fat storage to get himself a proper den built," she said. Titchener says it's important for people to respect the closure and give the bear a chance at survival.